These are the terms and conditions on which we supply products to you, whether these are goods, services or digital content. 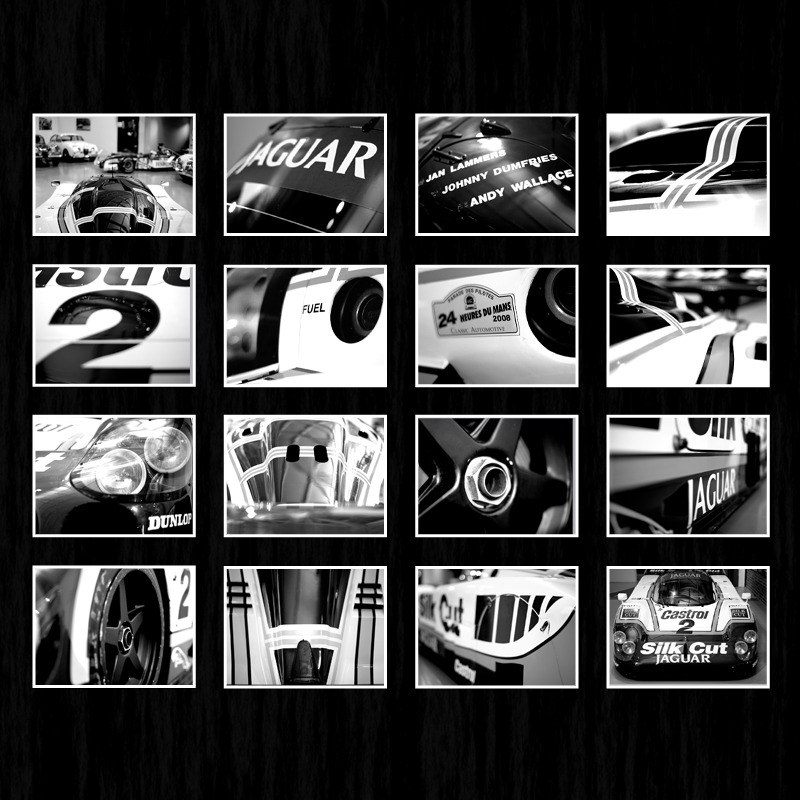 We are Le Mans 88 Ltd a company registered in England and Wales. Our company registration number is 08027803 and our registered Head Office is at 45 Boyton Road, Ipswich, Suffolk, IP3 9PD, United Kingdom. Our registered VAT number is GB 136 727402. You can contact us by telephoning our customer service team at 01473 499000 or by writing to us at enquires@lemans88.com or Le Mans 88 Ltd, 45 Boston Road, Ipswich, Suffolk, IP3 9PD, United Kingdom. If we are making the product to measurements you have given us you are responsible for ensuring that these measurements are correct. You can find information and tips on how to measure on our website or by contacting us. We may change the product to reflect changes in relevant laws and regulatory requirements and to implement minor technical adjustments and improvements. These changes will not affect your use of the product. In addition, we may make changes to these terms or the product, but if we do so we will notify you and you may then contact us to end the contract before the changes take effect and receive a refund for any products paid for but not received. If the products are goods we will deliver them to you as soon as reasonably possible. We will contact you with an estimated delivery date. We will begin the services on the date agreed with you during the order process. If you have asked to collect the products from our premises, you can collect them from us but only by prior appointment. If no one is available at your address to take delivery and the products cannot be posted through your letterbox, our delivery partner will leave a note informing you of how to rearrange delivery or collect the products from a local depot. A product which is goods will be your responsibility from the time we deliver the product to the address you gave us or you collect it from us. We may need certain information from you so that we can supply the products to you. If so, we will contact you to ask for this information. If you do not give us this information within a reasonable time of us asking for it, or if you give us incomplete or incorrect information, we may either end the contract (and clause 10.2 will apply) or make an additional charge of a reasonable sum to compensate us for any extra work that is required as a result. We will not be responsible for supplying the products late or not supplying any part of them if this is caused by you not giving us the information we need within a reasonable time of us asking for it. We will contact you in advance to tell you we will be suspending supply of the product, unless the problem is urgent or an emergency. If we have to suspend the product for longer than 3 months you may contact us to end the contract for a product and we will refund any sums you have paid in advance for the product in respect of the period after you end the contract. If you do not pay us for the products when you are supposed to (see clause 12.4) and you still do not make payment within 7 days of us reminding you that payment is due, we may suspend supply of the products until you have paid us the outstanding amounts. As well as suspending the products we can also charge you interest on your overdue payments (see clause 12.5). If you have bought services, you have 14 days after the day we contact you to confirm we accept your order. However, once we have completed the services you cannot change your mind, even if the period is still running. If you cancel after we have started the services, you must pay us for the services provided up until the time you tell us that you have changed your mind. Your goods are split into several deliveries over different days. In this case you have until 14 days after the day you receive the last delivery to change your mind about the goods. Your goods are for regular delivery over a set period, you have until 14 days after the day you receive the first delivery of the goods. Even if we are not at fault and you do not have a right to change your mind (see clause 8.1), you can still end the contract before it is completed, but you may have to pay us compensation. A contract for goods is completed when the product is delivered and paid for. A contract for services is completed when we have finished providing the services and you have paid for them. If you want to end a contract before it is completed where we are not at fault and you have not changed your mind, just contact us to let us know. The contract will end immediately and we will refund any sums paid by you for products not provided but we may deduct from that refund (or, if you have not made an advance payment, charge you) reasonable compensation for the net costs we will incur as a result of your ending the contract. Phone or email. Call customer services on 01473 499000 or email us at enquiries@lemans88.com. Please provide your name, home address, details of the order and, where available, your phone number and email address. By post. Request a copy of our Order Cancellation Form and post it to us at the address on the form. Or simply write to us at that address, including details of what you bought, when you ordered or received it and your name and address. If you end the contract for any reason after products have been dispatched to you or you have received them, you must return them to us. You must either return the goods in person to where you bought them, post them back to us at Le Mans 88 Returns or (if they are not suitable for posting) allow us to collect them from you. Contact customer services on 01473 499000 or email us at enquiries@lemans88.com for a return label or to arrange a collection. If you are exercising your right to change your mind you must send off the goods within 14 days of telling us you wish to end the contract. if you are exercising your right to change your mind within the cooling off period. We may write to you to let you know that we are going to stop providing the product. We will let you know at least [2 weeks] in advance of our stopping the supply of the product and will refund any sums you have paid in advance for products which will not be provided. If you have any questions or complaints about the product, please contact us. You can telephone our customer service team at 01473 499000 or write to us at enquiries@lemans88.com or Le Mans 88 Ltd, 45 Boston Road, Ipswich, Suffolk, IP3 9PD, United Kingdom. If you wish to exercise your legal rights to reject products you must either return them in person to where you bought them, post them back to us or (if they are not suitable for posting) allow us to collect them from you. We will pay the costs of postage or collection. Please call customer services on 01473 499000 or email us at enquiries@lemans88.com for a return label or to arrange collection. The price of the product (which includes VAT) will be the price set out in the Order or our acceptance of it. We take all reasonable care to ensure that the price of the product advised to you is correct. However please see clause 12.3 for what happens if we discover an error in the price of the product you order. It is always possible that, despite our best efforts, some of the products we sell may be incorrectly priced. We will normally check prices before accepting your order so that, where the product's correct price at your order date is less than our stated price at your order date, we will charge the lower amount. If the product's correct price at your order date is higher than the price stated to you, we will contact you for your instructions before we accept your order. If we accept and process your order where a pricing error is obvious and unmistakeable and could reasonably have been recognised by you as a misplacing, we may end the contract, refund you any sums you have paid and require the return of any goods provided to you. We accept payment with debit and credit cards as well as personal cheques. We also accept Paypal and Amazon payments. When you must pay depends on what product you are buying. For goods, you must pay for the products before we dispatch them. We will not charge your credit or debit card until we dispatch the products to you. If you do not make any payment to us by the due date we may charge interest to you on the overdue amount at the rate of 4% a year above the base lending rate of Barclays Bank Plc from time to time. This interest shall accrue on a daily basis from the due date until the date of actual payment of the overdue amount, whether before or after judgment. You must pay us interest together with any overdue amount. If we fail to comply with these terms, we are responsible for loss or damage you suffer that is a foreseeable result of our breaking this contract or our failing to use reasonable care and skill.